No other bull is as well known as Bodacious. 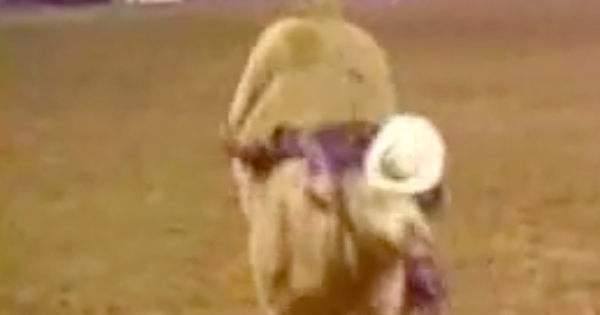 The Yellow bull called Andrews Rodeo’s Dodge Bodacious was a 3-time world champion bull. 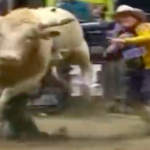 The Bull is probably best known for his battles with Tuff Hedeman, Ty Murray and all the greats from the 90’s. CLICK PAGE 2 BELOW FOR BODACIOUS SONG AND VIDEO TRIBUTE! 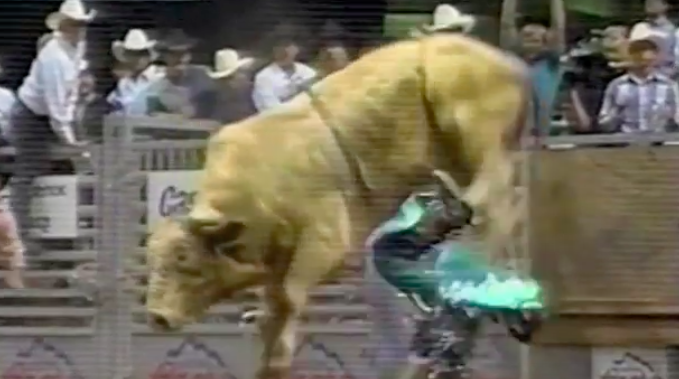 Bodacious (1988 – May 16, 2000) was a Charbray bull who was known not only in the sport of rodeo but the whole world took notice at every appearance. 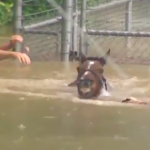 Bodacious was best known for his head-butting move. 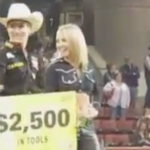 In 1995 NFR, he deployed it most famously to Pro Bull Riders Scott Breding and Tuff Hedeman. 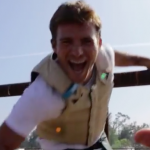 (VIDEO) JUSTIN MCBRIDE VS AIRTIME!! +JUSTIN’S RETIREMENT RIDE- EPIC NIGHTS! 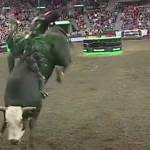 (VIDEO) FOOTAGE OF JB MAUNEY 90 PT RIDE FROM THE STANDS-FRONT ROW TIX! (VIDEO) AMAZING FOOTAGE OF LANE FROST MEMORIAL SONG-OFFICIAL MUSIC VIDEO OF “JULY IN CHEYENNE” BY AARON WATSON!